Fergo and The Freak, hosted by Rugby League historian Andrew Ferguson and Rugby League writer League Freak is the best Rugby League podcast you can listen to. With so much buzz surrounding the podcast it is time to show you all of the places you can download and subscribe it! 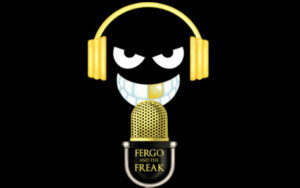 Below is a list of distributors who carry the Fergo and The Freak podcast. Simply follow the link below which is easiest for you to use, subscribe, and make sure you leave a five star rating, as all of it helps spread the word! Interview With Matt Attard About Media Bias Against The Canterbury Bulldogs The Parramatta Eels Own Bankwest Stadium....DEAL WITH IT!